Be There. Be Proud. Be a Warrior. Just as commencement celebrates the completion of students’ academic journey, convocation commemorates its beginning. Freshman Convocation is our official ceremony, followed by a fun-filled fair, where we celebrate you joining the Stan State family. All new freshmen are expected to attend. 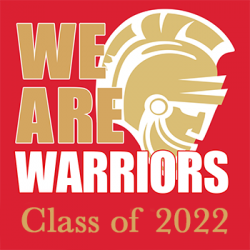 All Freshman participants will receive a free Class of 2022 t-shirt and be entered into our grand prize raffle. Join us for the fun! Make new friends and find out what it means to be a part of Stan State! Don't forget to bring your Warrior ID!